So, on the day that Brooklyn was flooded with snow, and no one had shoveled sidewalks or plowed streets, Mr. Ben and I threw on expressions of great determination, and dragged our suitcases behind us to the subway station — an exercise that gave me new insight into what it must be like to dispose of a dead body. We took that train to Penn Station, where we waited 45 minutes for a delayed and usuriously overpriced Acela train to DC. My little brother, god rest his soul, volunteered to pick us up at Union Station and ferry us over to Don’t-You-Dare-Call-It-Reagan National Airport. And from there, at long last and great expense, we caught a new, on-time flight to New Orleans, where the weather was a crisp 40 degrees but the ground blessedly free of snow. We made it to our hotel on Bourbon Street and collapsed. Yes, I know, Bourbon Street is Boobies Street, a hilarious choice for a non-drinker and non-exhibitionist who likes her sleep, but when you plan things last minute, you have to make some concessions. The hotel itself was pleasant enough but I wouldn’t recommend it to anyone who doesn’t enjoy hopscotching around puddles of vomit on their way home at night. Virtually everything else about our trip to N’awlins though was vomit-free and, frankly, spectacular. The food — from crayfish omelettes to hidden Vietnamese cafes! The music! 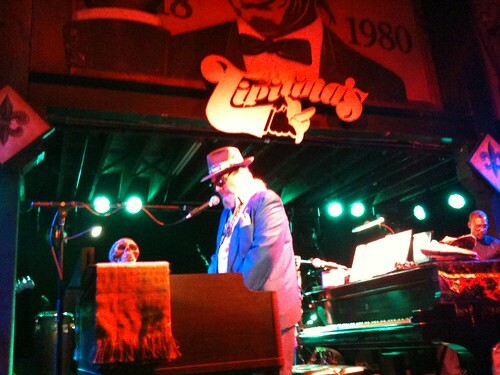 That’s New Orleans’ own Dr. John, with whom we had an appointment at the famous club, Tipitina’s. We made it to the very front row and so stood close enough to the old-time blues man that we could make out the paisley print on his buttercup-yellow silk shirt and smell the marijuana drifting off the stage. 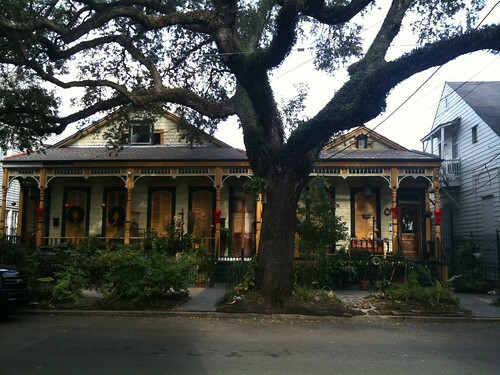 Robert was full of stories from the many years he spent working for the mob bosses who own and run the French Quarter. 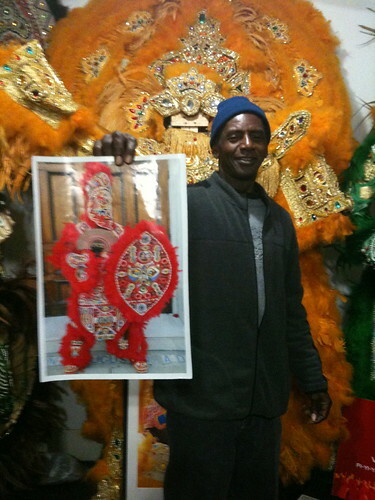 Incidentally, he makes those fantastic Mardi Gras Indian costumes — one a year — by hand. In short, whether tromping through cemeteries or parks or museums or zoos, we were in Heaven. Isn’t this what Heaven looks like, after all? These and more, btw, on Flickr. 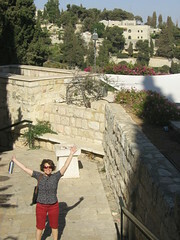 Mr. Ben has photos up from our tour through Israel on his Flickr page, as well on the Book Face. 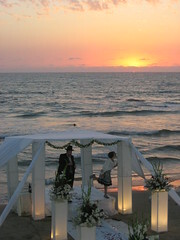 They show an experience of extremes: tranquil scenes on the Sea of Galilee and refugee camps in Jerusalem; old churches and modern beaches; desert hikes and a Netanya wedding for one of the most beautiful brides I’ve ever seen, the sick-but-beaming, accommodating*, eminently-deserving Tamar. Well, that’s the holy land for you. Who among you hates the subject of Israel/Palestine? Could I get a “whoop, whoop!” please? Certainly I’m not the only one. The subject has been coming up persistently over the last month or so, mostly in my office but also, of course, in the news. Without getting into the details, I can say that it’s been frustrating, and I have had to talk to and/or listen to people who do not meet my stringent standards for conversation on the topic. 2) No Assholes. Do you write emails in Comic Sans bold? Do you roll your eyes and/or sigh heavily a lot anytime anyone else talks? Do you refuse to admit when you don’t know enough about a subject to venture an opinion? Then go talk to a message board filled with your compatriots, friend, and stop making my ears bleed. With that in mind, I was a bit nervous about heading over to Israel. As it turned out, I needn’t have been: I’m a lot more comfortable talking Israel/Palestine politics while in the neighborhood, so to speak. Maybe it’s because, if my discussion buddies are there too, that testifies to a certain level of understanding and commitment to the issue? I’m not sure. At any rate, Mr. Ben and I talked to each other, international strangers in our Tel Aviv hostel, and folks on our Im Amim tour, and we never had a problem. That was a significant relief. Politics aside, we had a wonderful time. I’m not quite sure I’m ready to be home, to tell the truth. And seeing Tamar get married to a great guy ten years after we lived in Israel together, and spent most of our time moping to the Indigo Girls, was a nearly-transcendental experience. A whole cluster of us traveled over from the US to celebrate with her — and that included improvising a mikvah experience** in the Mediterranean Sea at sunset and fetching chairs for the hora and finally cutting the neglected wedding cake and dancing to techno remixes until our legs collapsed beneath us. I am so privileged to have gotten a chance to be there. *This is not flattery. The huppah started an hour late, after the sun had already set; the rabbi overfilled the ceremonial glass of wine (red, not white), and then splashed it on Tamar’s wedding dress; the cake was forgotten about until after the guests had left; and yet despite these, and other provocations, Tamar remained radiantly graceful and happy. What’s the opposite of a Bridezilla? A BrideTeresa? The world needs a new word. **The Hebrew word for immersion in a mikvah, “t’vilah,” is the same verb used for immersion in baptismal waters AND for immersion in water that leads to drowning. That sums up a pretty complex and crazy country, doesn’t it?